Home » Knowledge Center » Local Chapter Officers » MAYnia is Weeks Away! Comments Off on MAYnia is Weeks Away! Contests in March and April – Last week we emailed information about the contests in March and April and how the ten chapters with the highest percentage of attendance at meetings in those months will win door prizes. Be sure to mark your attendance online for your meetings held in March right away so we can start identifying March winners! Freebies – Notepads and pens will start shipping to the presidents beginning in in a couple of weeks. Remember that all May meetings and seminars must be scheduled by April 15th in order to guarantee receipt of freebies. Presidents, make sure your address on file with AAPC is correct. 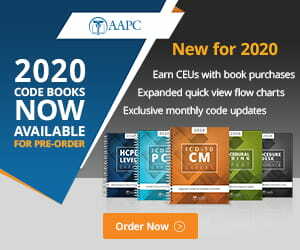 Incentives – We’ll have discounts on AAPC educational products and all chapters increasing their May meeting attendance over 2018 will receive a prize. Grand Prizes – Two grand prizes will be awarded! One goes to the chapter hosting a meeting with the most guests and the other goes to the chapter hosting a seminar with the most guests! Guests are attendees that are not AAPC members.